This article is the second in a series of "Elder Orphans--my aging-alone plan." If you missed the first one, "A Baby Boomer's Aging Alone Plan," then here's your chance. However, if I don't want to be stuck in suburbia apart from social connections, an extraordinary imagination is needed. That and suggestions and tips from readers like you. Years ago, I helped my parents with elder care and today I recognize that it's not an isolated endeavor. When individuals grow older, they encounter bumps along the way that adds pressures on loved ones. In our case, mom and dad lived with chronic health problems like Alzheimer's and heart disease which both resulted in functional disability. There is not a lack of information about aging issues, but there is a lack of knowledge on the part of the consumer about dealing with aging at various stages. Here is a list of the five stages. It gives an overview of what to expect as one grows older. But know people age differently, depending upon various factors. In subsequent articles, I plan to delve deeper into each as I strategize for myself. I need to learn the essential needs and issues first, the ones that I face later on in life--that's the reason for explaining the stages. I have to know what I face down the road, right? Without knowing what aging looks like, any plan is futile. At this phase, people are self-sufficient. We can manage chronic health problems and disabilities, and don't require special help from loved ones. We prefer to be independent. AARP says, "Assess your place and community." The community assessment will indicate whether or not it will support you throughout the significant changes. In this stage, one should also look at health, types of care and paying for them, relevant documents to create, and how to advocate for yourself. Interdependence is the time when an older person turns to others like family, a spouse, or friends for help. If you live alone, this phase is tricky. Frankel says, "Seniors often see formal caregivers as a beginning in the decline in their independence," and advises individuals to begin the search for an independent living, that features 24-hour security, suites, meal plans, cleaning services and laundry. As I investigate this phase, I'll research other ways to add security, meal plans, cleaning, etc. 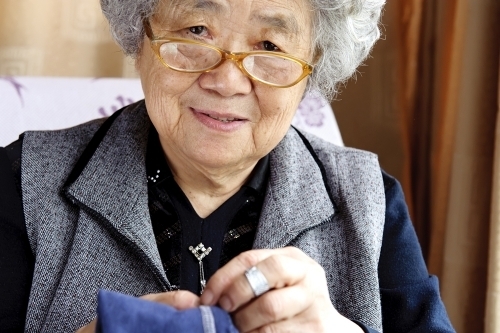 Older adults become more dependent on others for help with activities of daily living. The activities include meal preparation, cleaning, shopping, transportation, and possibly help with dressing, bathing, and grooming. I'll look closely at the different types of care options--hopefully, go beyond the tried and true, the ones we typically choose. I want to discuss what other countries do to handle these issues. Senior living trends change rapidly so let's discuss them. I need your help to shed light on newer ones. What other choices do older people enjoy globally? Crisis management. It's the time that Frankel says that the health and personal care needs of an older person outstrip the family's capacity to help. Formal home care may be insufficient or too costly, keeping the family in crisis management. I hope to avoid this stage altogether. But if I'm still around, I'll move to Oregon. On a serious note, what options do we want? Let's shake things up a bit and think outside the box. Frankel's final stage occurs when the older person must move to a nursing home. Skilled nursing care and extensive personal care help the person live with dignity. Not sure what nursing home he refers to, but I've never seen one. Kidding aside, I have, but let's look at other possibilities. What do you say? Are you with me on this? I need your help seeing all options before moving ahead with my plan. NCOA, n4a, and United Healthcare claim that the professionals who support older adults have a grim view of our preparation. Only 10% of the experts believe we are very prepared to age. While 42% of us (older Americans) think we are well-prepared. If the experts are right, we better fix the discrepancy. I'll do my part, but I need your help. Please join the conversation. And as the discussion grows, let's start a revolution or, at least, start a Facebook page. I know Dr. Bill Thomas will join in, heck, he's all over the task to disrupt aging. How about you?